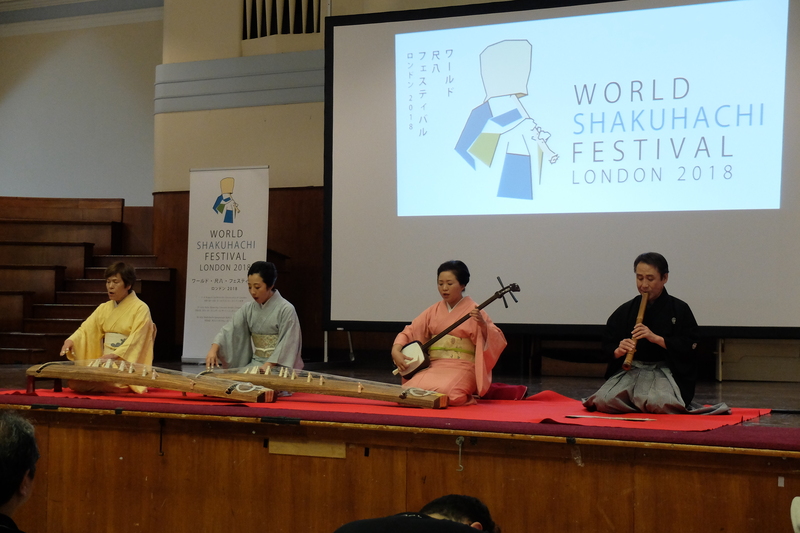 It is two weeks since the end of the World Shakuhachi Festival (WSF2018) in London, and I am finally over my jet lag from leaving wintry Melbourne and diving straight into a dizzy round of non-stop seminars, workshops, concerts, lectures, late night gigs and international mingling. A challenging week in the midst of London’s heat wave, but thoroughly enjoyable. Bravo to the European Shakuhachi Society (ESS) for organising such a diverse and inclusive smorgasbord of shakuhachi (bamboo flute) music. We heard solo Zen repertoire (old Fuke-style temple pieces and more recent meditations from various schools); classical chamber works from the Edo period; 20th century modern works; 21st century contemporary music (solos and in ensemble, with a wide range of instruments); and Min’yo folk songs performed on shakuhachi with singers, tsugaru-shamisen (lute), taiko (drum) and shinobue (transverse folk flute). 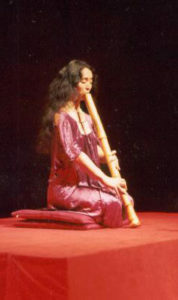 Such diversity of performances enabled delegates to attend whatever stream of shakuhachi they preferred, or to mix and match and be inspired by other genres, playing styles and techniques. 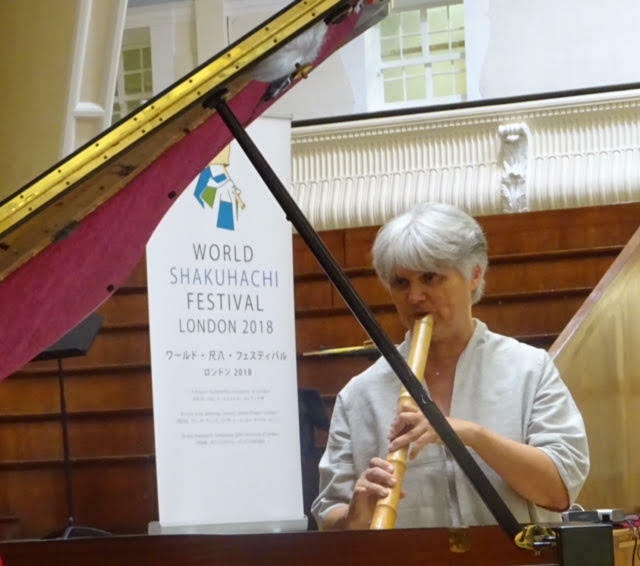 The declaration that shakuhachi is no longer a Japanese instrument but “an instrument of the entire world, participating in a vast range of musics” is stating the obvious, but it was good to see it in print in the festival programme. Performers from across the globe were showcased and representatives from all traditional Japanese schools and styles who wished to participate were invited. This created a spirit of mutual support, respect, communication and interchange, building friendships and understanding across traditional divisions. The ESS festival committee, consisting of people from different countries across the European Union, understands the hard work and preparation needed to achieve such inclusiveness. I was one of many invited to perform under the “New Horizons” banner. Some folk played compositions by their fellow compatriots, others were premiering works by composers of other countries, and, like me, quite a few were presenting their own compositions. There was also a large contingent of improvisers and collaborators. 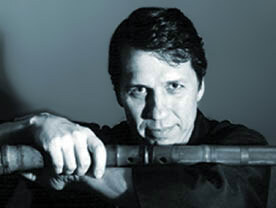 I noted with interest that a significant number of the New Horizons performers have a silver flute background. Many of these are conservatory-trained classical musicians, some still performing and teaching within the world of silver flute while also excelling at shakuhachi (quite a feat—I gave up trying to practice both more than 10 years ago). 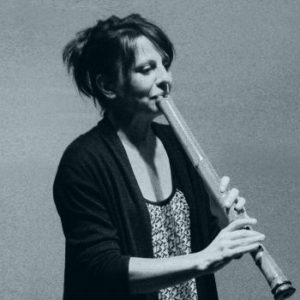 One surprise was the number of contemporary compositions and free-form improvisers adding their voice while blowing their instruments. I came to London thinking I would be the only person singing and playing simultaneously and hocketing the two elements. I was not, although my use of voice was compositionally distinct from the others. 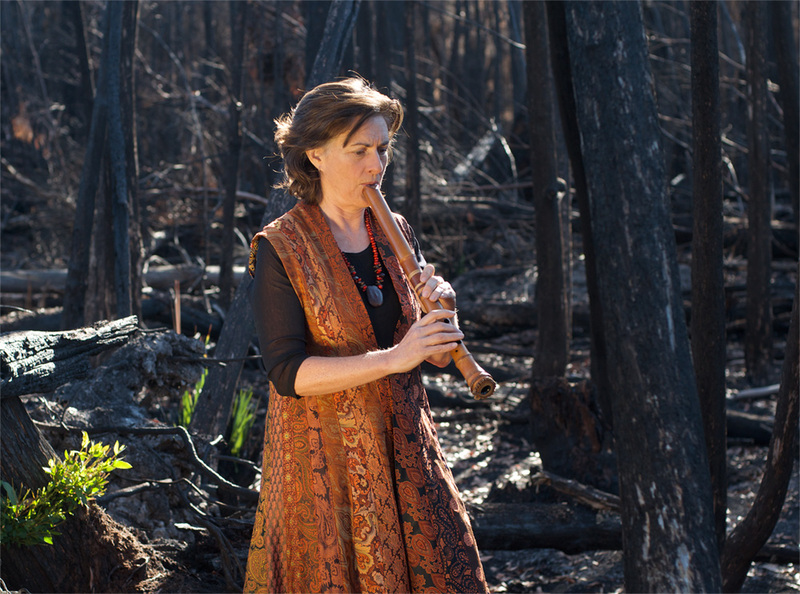 I was surprised and delighted by the ability of those attending my workshop to achieve the textures and patterns of the flute line while holding a slower vocal line. 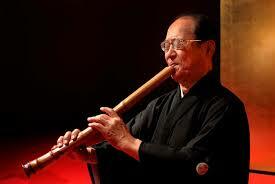 Quite inspiring to hear a room of men and women using their voices while playing shakuhachi. It gave me much food for creative thought. There were many highlights for me at this festival, only some of which I will present here in random order. One memorable moment came when I entered the reverberant acoustics of St James on the Goldsmiths campus of the University of London, hoping to do some practice for a performance the following day. Instead, however, I was captivated by a rehearsal of French flautist Emmanuelle Rouaud practising a virtuosic work for shakuhachi and koto (13-string zither) with Takahashi Gaho. The modality, timbral textures and fast-paced passages of shifting metres all created a hypnotic spell within the dreamy acoustic of the chapel. This beautiful duo was by French composer Henri Algadafe. I am keen to play it one day. The dynamic energy and musicianship of Obama, Kawamura and Kuroda, three stunning young players performing A Sketch of the Grey Wind by Sato Toshinao, was most exciting. This composition exploited elements of strength and fragility—intensity and stillness so characteristic of shakuhachi at its best. It was my first time to hear these players. Their musicianship and timbral control, coupled with this unfamiliar and remarkable composition, was breathtaking. 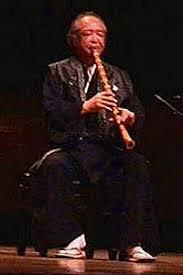 I arrived a little late to the opening concert just in time to hear Tanabe Shozan performing an upper-register prelude reminiscent of the transverse flute of Noh theatre. He then switched to playing low notes on a longer shakuhachi and I was surprised to hear Miyazaki Mieko enter with the classic 17th century koto piece Midare beneath Tanabe’s slow shakuhachi line. Without programme notes before me I was bowled over by this adventurous arrangement. In the later faster sections of the piece, Tanabe returned to 1.8 shakuhachi and the usual Tozan shakuhachi part in heterophony with koto, rounding off a striking new rendition of an iconic piece. Izumi Takeo gave a gently restrained performance of San’ya (Mountain Valley) on a long 2.8 shakuhachi in the memorial concert for New York shakuhachi master Ronnie Nyogetsu Seldin. This was likewise most moving and unforgettable. I was glad to join in the group rendition of Tamuke (Offering) at this concert to honour the man who made the WSF2004 in New York such a wonderful event. A world apart in style was Kuroda Reison’s fabulous interplay with the double bass of John Edwards at a lunchtime concert. A celebration of the moment through a masterful interplay of musical communication—both performers keenly listening and responding to the other. 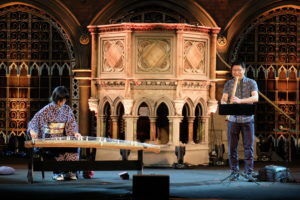 This collaboration was a result of efforts by Thorsten Knaub and Kiku Day of the ESS committee to bring young Japanese shakuhachi masters together with musicians from London’s milieu of free-form improvisers. Brilliant! Another memorable moment came on the day after the festival. An English friend and I were spontaneously regaled by the Buddhist nun Suto Shuho playing for us in the Nezasaha Kinpū Ryū style in a small park in Greenwich. 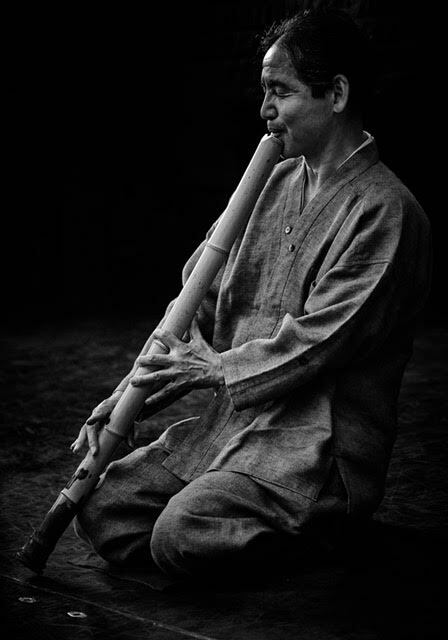 Listening to Suto reminded me of my first shakuhachi teacher, Nakamura Shindo, who taught me a few Kinpū and Myoan honkyoku, the intonation of which I often had difficultly appreciating; the intervals were quite different to those in the sankyoku ensemble works he taught me. Sitting listening in the dappled shade of bamboo and oak I felt a greater appreciation for this stream of Blowing-Zen. I attended all the late night open mic and curated concerts which gave lesser known players a chance to share classics as well as new works. 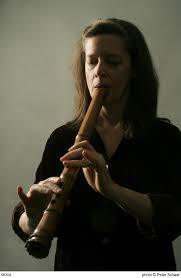 These sessions revealed many skilled and passionate shakuhachi players. While it made for very long days, these concerts were a treasure of the festival, worth staying awake for that little bit longer. Sitting in the audience one sweltering summer day, fighting jet lag and growing exhaustion, I felt a deep sense that I was in a hall filled with a special brand of shakuhachi nerds—people capable of sitting still for hours on end in deep listening mode to music that is often focused on very subtle nuances. 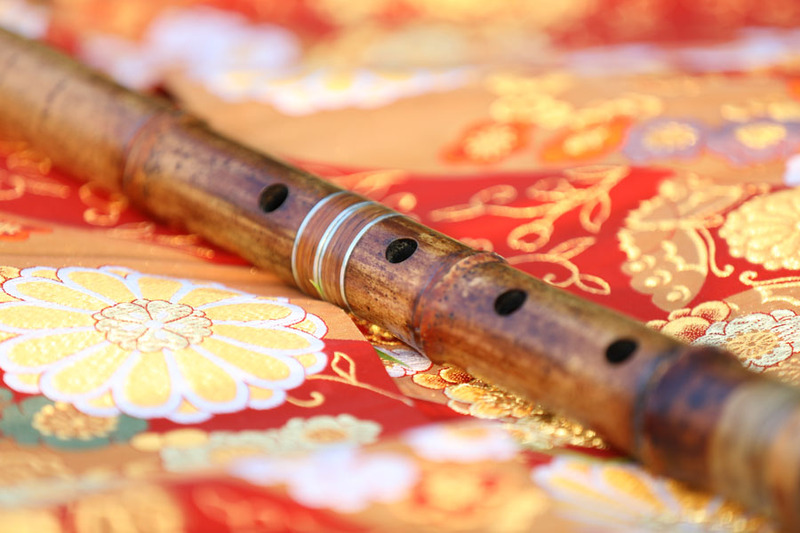 There was a sense of communion with these diverse folk, all of us drawn to this esoteric end-blown bamboo flute. The world is a strange and beautiful puzzle, and I was in a peaceful reverie that lasted for six days of listening. Thank you ESS. Thank you to all those attending. Thank you to the sponsors. And thank you to my teachers, Nakamura Shindo, Tajima Tadashi and Yamaguchi Goro, as well as others who have given me lessons and master-classes, and to my flute and other music teachers before them.